Stano Spina was born in Southern Italy in the province of Cozenza on November 23, 1943. In 1960, along with his parents and brother, immigrated to Canada and landed in Winnipeg where he already had some family. The family settled in North Kildonan although for the last forty years has resided in River Heights in order to be closer to his place of business. For the past fifty years he has owned and operated Stano's Couffures. He has been married to Linda for the past seventeen years and between them they have five children: Giovanni, Luisa, Mathew (who lives in Ottawa), Kate and Philip. There is also Nonno, Nana, and none grandchildren. Stano has a deep love for Opera and has been involved with the Manitoba Opera since 1972, serving in many capacities. He has appeared on stage in over 55 operas. He served on the Board of Directors, served on the guild as President for two years and was a member of the auxiliary. He has also chaired many fund raisers for them. Stano has been a very active member of Khartum Shrine. He received his twenty five year pin in November 2010. He has dual membership in Vintage Cars Unit where he drives a 1970 Spyder convertible and the Pipes and Drums Unit where he plays tenor drums. He served as president in the Vintage Cars in 2000-2001 and also as their Treasurer. He is a member of the Order of the Eastern Star and served as Worthy Patron of Queen Winnipeg Chapter No. 1 five times. He was given the honour of serving as Grand Marshal for the Grand Chapter of Manitoba. He have served on the Board of Directors for the Eastern Star Chalet and was appointed Grand Representative to the State of Washington. He has written, produced and directed many plays as fundraisers. Stano and Linda are members of St. George's Anglican Church in Crescentwood. Stano was initiated in Fort Garry Lodge No. 130 in 1982 and served as their Worshipful Master in 1990. 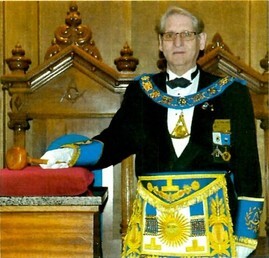 He served as DDGM of the Twelfth Masonic District in 2000-2001. At present he is a member of Keystone Lodge No. 185. He have served on the Board of Directors of the MMT Inc. for many years. He was elected to the Board of General Purposes and served there for nine years before beginning his journey to the Grand East. 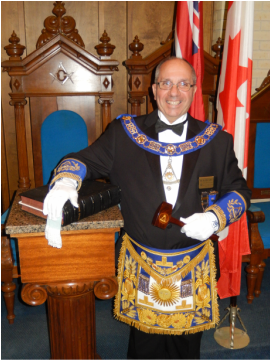 He is also a member of Royal Arch Masons of Manitoba and the Preceptory. He is also a member of Tongue River Lodge No. 22, in Cavalier, North Dakota.